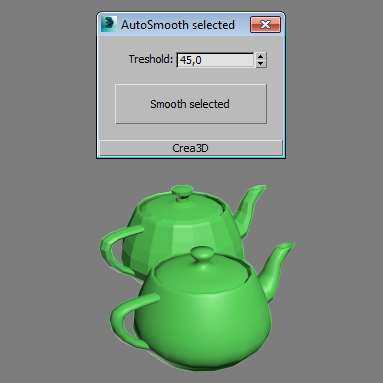 A little script which set autosmooth to selected objects. Submitted by Swordslayer on Sat, 2016-11-05 06:24. Does that mean a new library for each file, or just 'security by obscurity'? Submitted by Swordslayer on Sat, 2016-11-05 07:01. Submitted by Crea3D on Sat, 2016-11-05 05:40. Submitted by spacefrog on Sat, 2016-11-05 04:22. Could you provide samples of encrypted, fully working scripts to enable people to test this ?